Ranveer Singh is always known to give his 100 percent for every film and part. 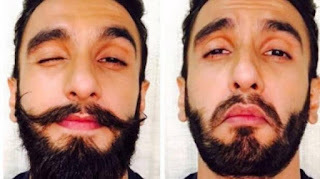 To become the one of his kind super villain Alauddin Khilji in Padmavati, Ranveer grew a thick beard, which he has sported at recent public appearances too. He also underwent rigorous physical training to bulk up and look like a menacing, ruthless warrior and conqueror, every bit the committed actor. His bearded look also set fashion trends. Alauddin Khilji is a downright negative part from the pages of history, and Ranveer is pushing boundaries at all levels to play him. Expect Ranveer to look, sound and feel different from all his other roles in his magnum opus.